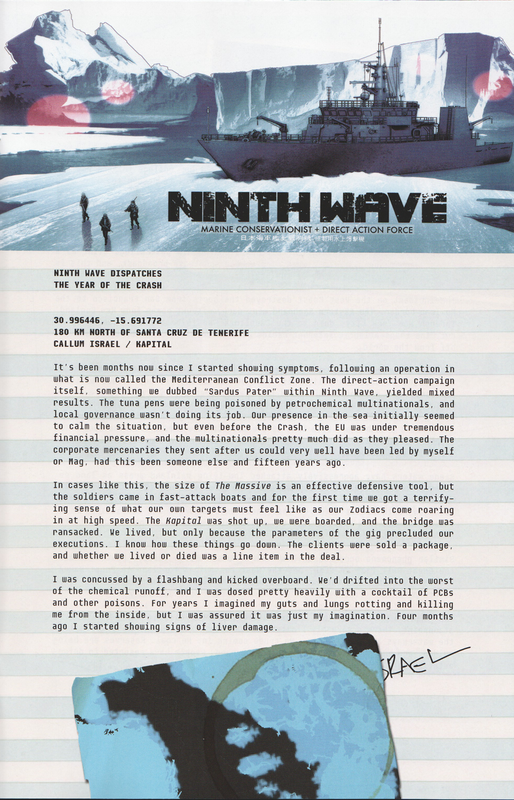 The comic follows Callum Israel, a PMC operative-turned-ecological preservationist, and his group The Ninth Wave. Narratives weave in and out; time is totally collapsed. Flashbacks interrupt the plot often–sometimes we get the commanding story: Israel searches for his flagship, The Massive, while running out of food, fuel, and water. All of the world’s major cities are half underwater. Sometimes we get flashes of Israel’s PMC past. Sometimes we learn about Mag and his life as a child soldier and Tamil Tiger. Sometimes there are short snippets about Mary and her mysterious past as both an eco warrior and a refugee. The point I’m trying to get at here is that Brian Wood is writing a comic about the world’s existence after the death of grand narratives. There isn’t an evil force to hunt down and execute. Superman can’t save us. There is just the hunt for The Massive and survival. I have lots of things to say about the politics of the comic and the way it portrays international relations after the whole notion of sovereignty is effectively dead. But I will spare you right now. The following is a bit of backmatter from The Massive #6. 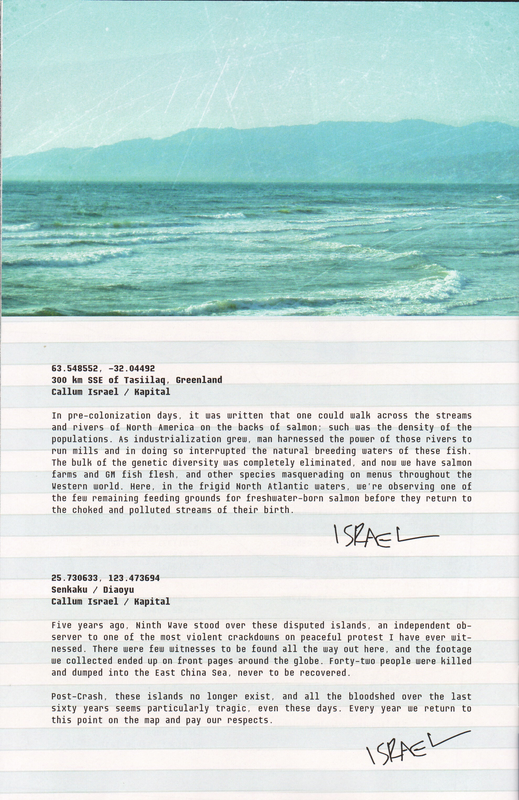 It is letters or missives from Israel–these things populate each issue. I think that these are particularly poetic, and they inspired me to make this post. This first one is an amazing piece of writing that points out the assemblage nature of environmental pollution, mass fishing, and human interaction. The poisons we secrete as a species (isn’t that just what pollution is?) can infect us too. Environmental issues are human issues. This second bit is just some wonderful writing about nature and the role of the human. Maybe there isn’t a role. This entry was posted in Comics and tagged backmatter, brian wood, comics, the massive. Bookmark the permalink.